Light bases can add color and character to even simple table arrangements. 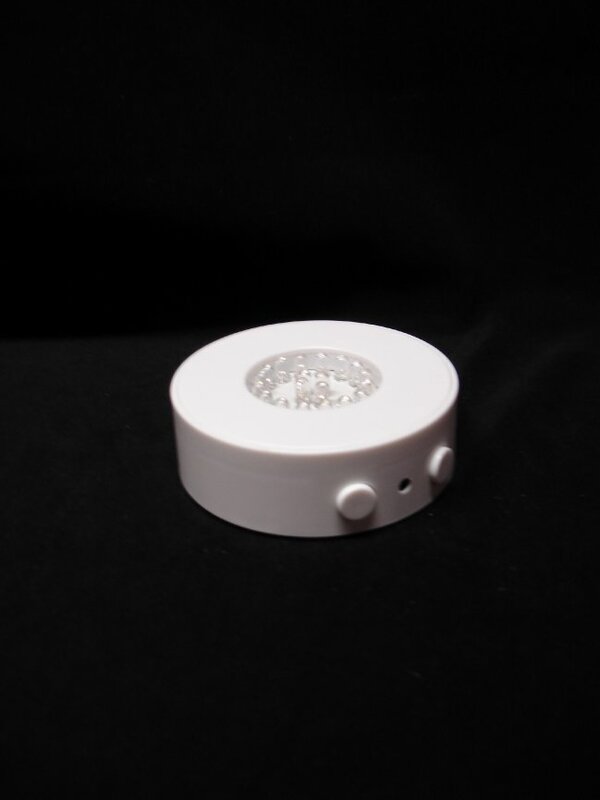 The smaller of the bases is 3.5" wide and can produce a variety of colors with the fun LED lights. The larger base is 10" wide and comes in a clean white light. Is wonderful when added underneath a "Bouquet Holder/Table Arrangement" as seen in the picture.